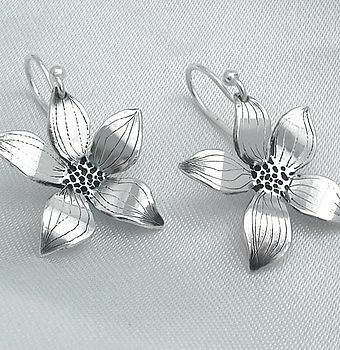 These flower-shaped drop earrings are simple and effective and are an absolute bestseller. Handmade in sterling silver and lightly oxidised to give depth and contrast, they are carefully crafted to have that realistic 'just picked from the garden' look. These would make a perfect and appreciated gift for a special friend, or maybe as a treat for yourself! What more is there to say? They are just pretty pretty pretty! 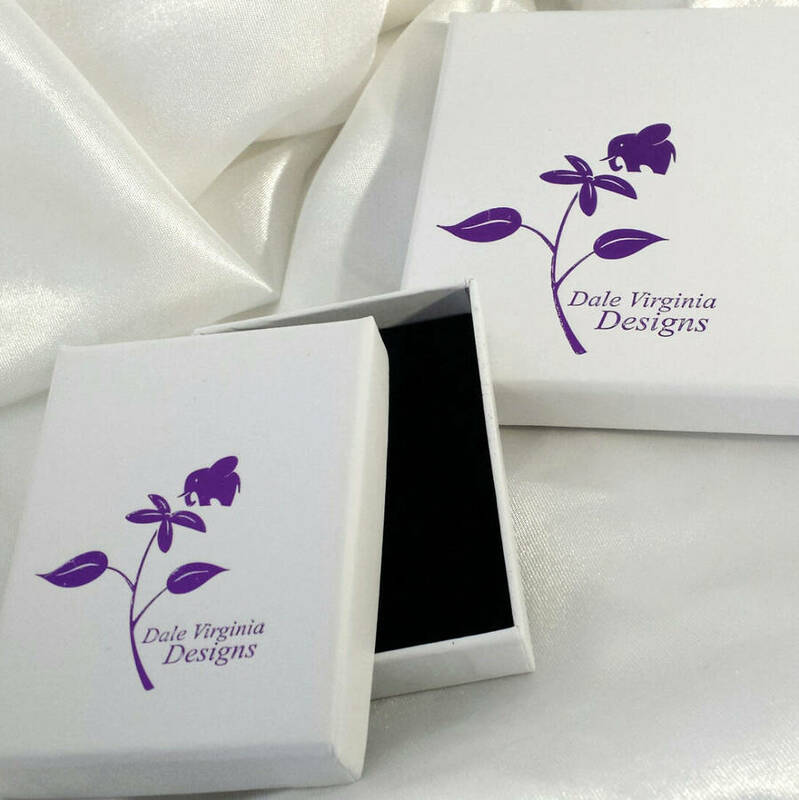 The earrings have sterling silver hook wires and will be sent to you in a smart recycled gift box, printed with the Dale Virginia Designs logo. 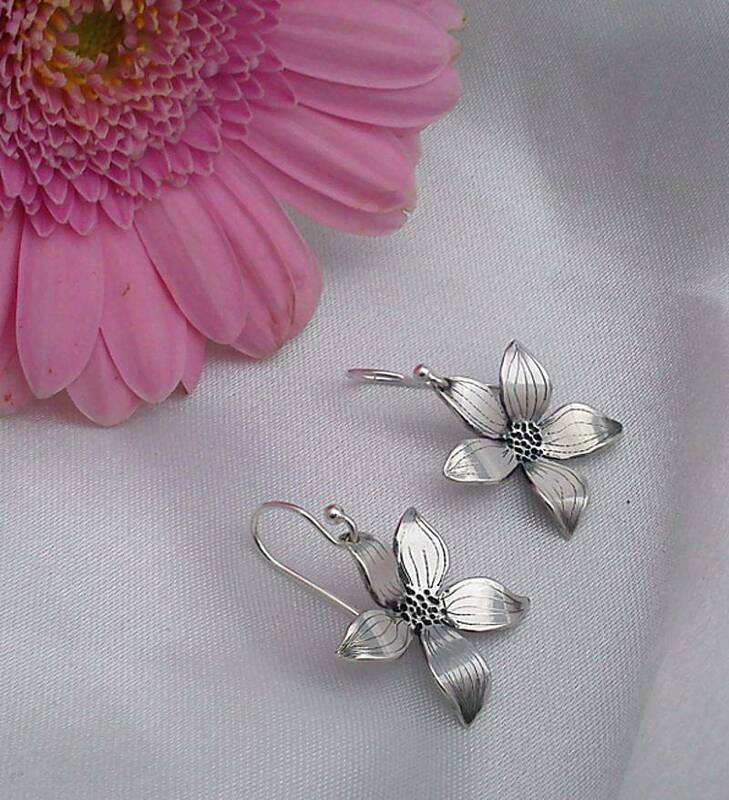 As all jewellery by Dale Virginia is individually handmade, minor variations from the item pictured may occur. The flowers on these earrings are approx. 2cm in diameter. This product is dispatched to you by Dale Virginia Designs.